As we all know that today most of the farmers use pesticides and synthetic fertilizers to get a good crop production. As we all know that pesticides are come in wide varieties like insecticides, weedicides, herbicides, fertilizers, fungicides and many more. We all know how costly they are and how they affect our body, soil, water and the environment. Now, today let’s talk about pesticide residues. Pesticide residues refers to pesticides which remain on or in the food after applied to the crops. The maximum allowable levels of these remains in foods are often required by regulatory bodies in many countries. How do they get inside our food? Pesticide residues get inside our food when the pesticides are sprayed to the crops. 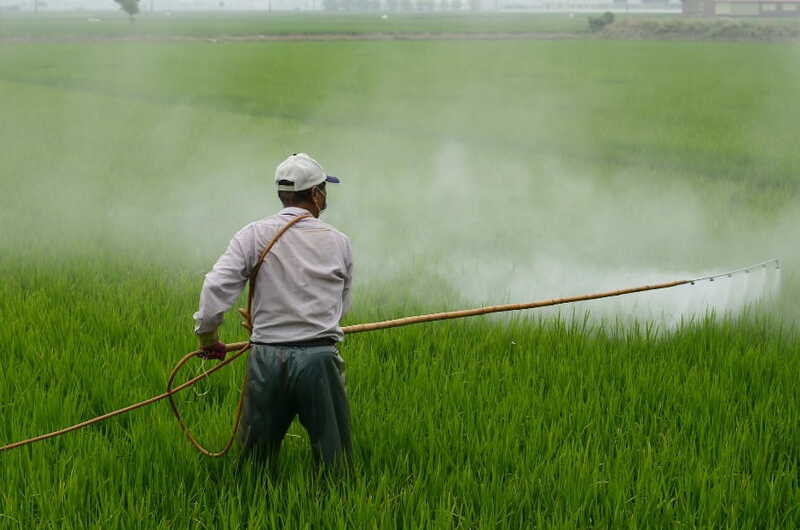 As they are sprayed in high amounts, the chemicals are spread on the crops; they form a little hole on the outer shell from where the pesticides enter the food. Which pesticides in food affect our body? The farmers who use chemical fertilizers and pesticides have their routine experience of neurological symptoms such as headache or hand tremble. It is said that the most commonly used fertilizers and pesticides, 19 are linked with cancer, 13 are linked with birth effects, 21 with reproductive effects, 26 with liver or kidney damage, 15 with neurotoxicity, and 11 with disruption of the endocrine system. Analysis of fruits and vegetable samples in India. Apples- 99% of the samples tested were positive for at least 1 pesticide residue. Peaches- 98% of the samples tested were positive for at least 1 pesticide residue. Strawberry- A single sample of strawberry showed more than 13 different kinds of pesticides per piece. Grapes- A single sample of a grape contained different kinds of 15 pesticides. Sweet bell pepper- A single sweet bell pepper sample contained 15 pesticides. Potatoes – The average potato had more pesticides by weight than any other produce. Now let us talk about some harmful pesticides. Leads to abnormal sperm and affects their ability to move and also leads to cancer and other heart diseases. Linked to cancer and male infertility after it was shown to block the action of male hormones. It was originally synthesized in 1874 and in 1948 Paul Hermann Müller was awarded the Nobel Prize in Physiology or Medicine for the high efficiency of DDT as a contact poison. This fertilizer leads to excessive tiredness, headaches, limb pains, disturbed sleep, poor concentration, mood changes, and suicidal thoughts. Like DDT, these were banned in the US in the 1970’s. How to protect ourselves from pesticides residues? We should eat healthy organic food which does not contain any pesticides or which contains minimum chemical residues. At our Shubh Organic Farm we grow up organic crops such as Organic Wheat, Groundnut etc.